VOTE: Which country would YOU rather visit in 2010? Read up on these five hot destinations, then cast a vote for which one you’d like to hit in the new year. THE START OF a new year (and a new decade, nonetheless) brings out all kinds of “top destination” lists on the travel webs. We’re taking a slightly different tack. Click over to today’s post, Matador’s GETSOME List: Our Wishlist Destinations for 2010, to find out where the members of the Matador team are dying to get to in the new year. Now it’s your turn. Check out the 5 hot, talked-up destinations below, and then scroll down to cast your vote on where you’d like to be found in 2010. With the epic four-year showdown of the world’s most popular game set to go off in June, South Africa is topping all kinds of “must-see” lists. But of course there’s more than the World Cup to recommend this destination. You can dive with great white sharks, peep penguins, and take a sunset cruise at the confluence of the Atlantic and Indian Oceans. 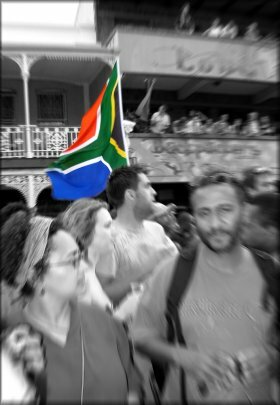 The cost of visiting is also relatively low, which helped South Africa make Lonely Planet’s Best-value destinations for 2010 (although, as they point out, don’t expect deals this summer). If South Africa gets your vote, hit up Matador’s destination expert with your pre-trip questions. Iceland is still the big story in travel-slanted economic news. Its 2008 bankruptcy shocked travelers as well as economists and led plenty of sites to advise you to Plan Your Budget Vacation to… Iceland? Of course, everything’s relative, so for folks heading that way, Trips’ Budget Travel Guide to the country is still a good companion. On top of that, don’t miss our Photo Essay: Iceland’s Fire and Ice or tips on How to Drink on the Reykjavik Rúntur. You’re in good company if you give Iceland your click: BootsnAll, Gadling, and Lonely Planet agree with you. Underdog? Yeah, probably. Lonely Planet grabs El Salvador as their Central American representative, applying the “overlooked, under-appreciated” label. But Panama has that too. It’s also home to one of the 20 Craziest Party Hostels Around the World. women dress in handmade molas (beautifully colored fabrics), everyone has a natural sun glow tan and fresh fish is caught daily by locals in handmade kayak boats. Panama has perhaps the richest culture in the region; with a wide diversity of people and a strong sense of tradition, there is quite a lot to experience. Whether you’re going or not, make sure to check out his When Maximo was our Captain: Surfing Bocas. From underdog to overdog — Nepal gets plenty of shout-outs. Both Lonely Planet and Gadling kept with tradition this year. There’s a lot to big up about Nepal. Trekking, in particular — getting high in the Himalaya. 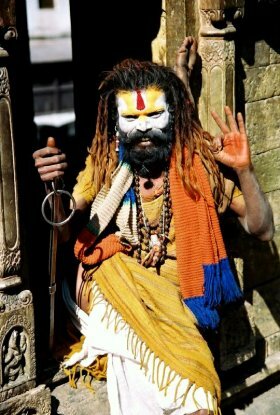 If you need more background info before casting a vote, check out A Traveler’s Guide to Culture in Nepal and a sweet travel vid, 28 days through India and Nepal, on MatadorTV. Matador’s Nepal expert is another good resource. Another unlikely, Turkey made a short list over at dailycandy.com for its extra-euro (and hence good-value?) economy. Also, Istanbul is one of the EU’s European Capitals of Culture for 2010. I’m including it here because I’ve been a fan ever since sourcing a photo of the Cappadocia region for a photo essay on 12 Lesser-Known Ruins of the World. Allison Grossman’s Images from Istanbul had the same effect. Travelers looking for opportunities for long-term stays will appreciate Istanbul’s spot on our 18 Most Scenic Places For Teaching English Overseas. For more ideas on where to go in 2010, there’s The Best and Worst Destinations, According to National Geographic and 2010’s Most Endangered Cultural Sites. 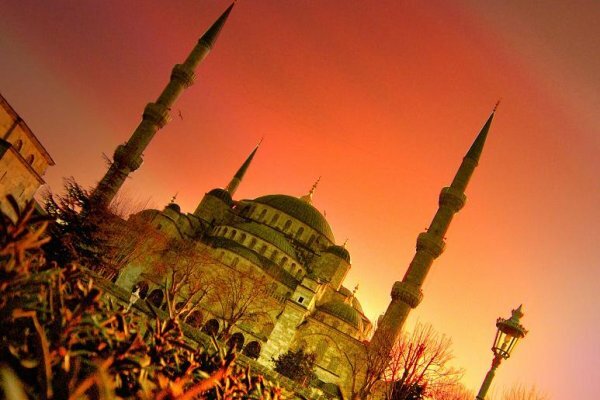 Nothing will boost your Instagram feed like a trip to Turkey. Here’s proof.